This project was one of the fan sites in the Reigning Sun network. 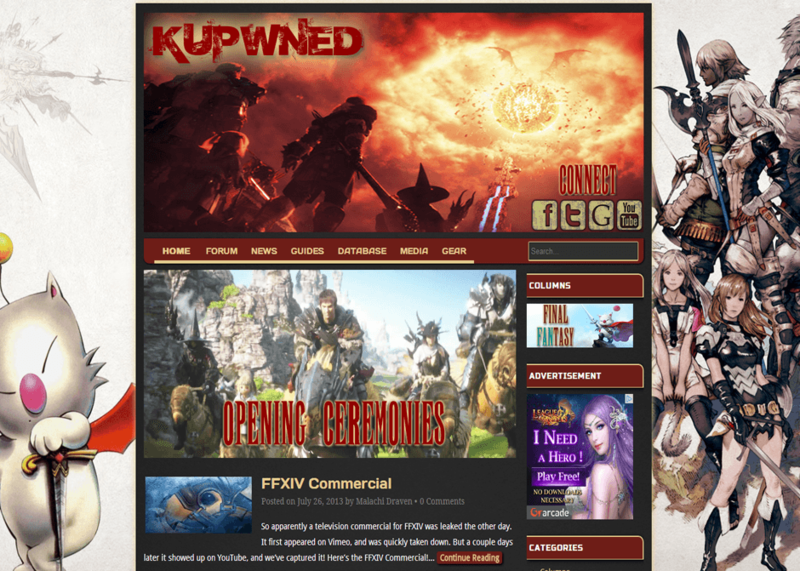 Kupwned was a dedicated fan site for the popular MMO, Final Fantasy XIV. It featured the latest news, in-depth guides, and other goodies all about FFXIV. It also specialized in Player vs Player combat and strategies. This website was one of the most advanced out of all the Reigning Sun network. It was also the first one that I built a forum into. It was so successful that it even expanded into an internet radio station, Radio XIV. 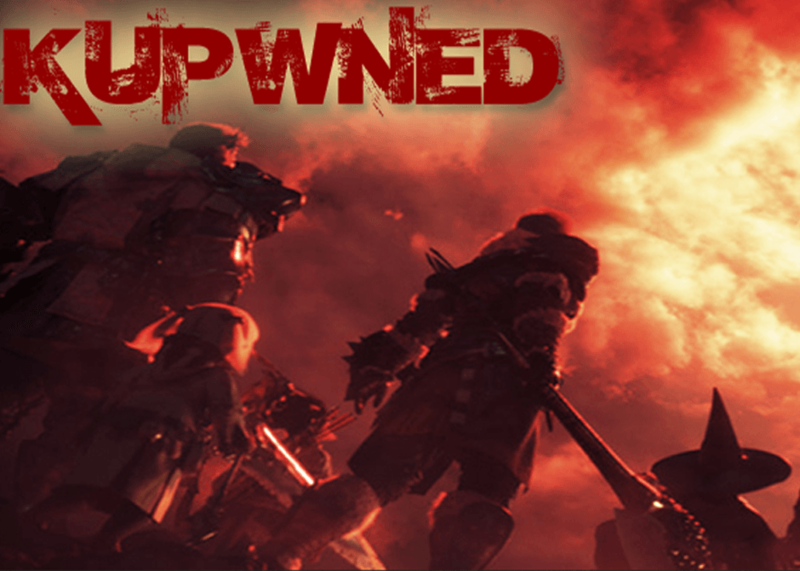 To set us apart from the generic video game fan sites, Kupwned’s brand is all about being an unapologetic badass. It’s bold and explosive. This is actually in contrast with the game it’s dedicated to, FFXIV, which is much more cutesy. This project had the goal of being the American rockstar in a world filled with Asian anime elements. Building upon the success of Ark Hunters Academy and What the Nexus, Kupwned grew to be even bigger and more awesome than its predecessors. It incorporated new features, such as an extensive forum system. 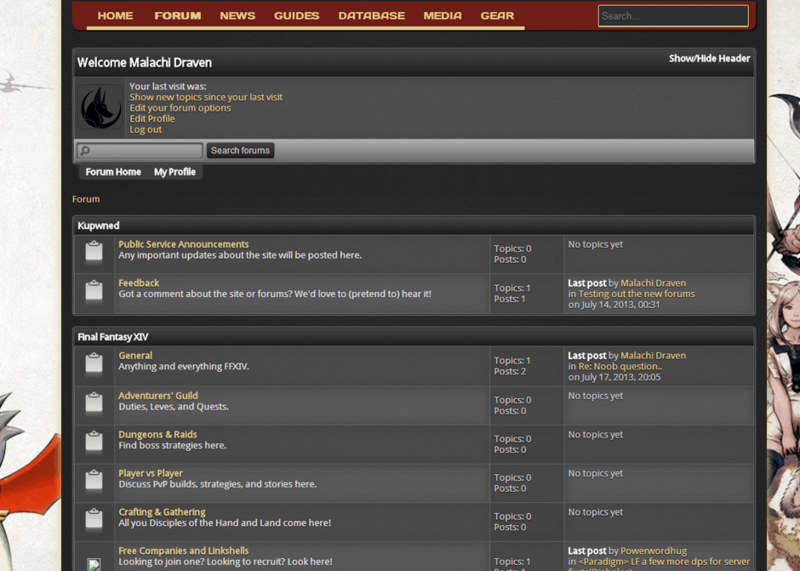 This was the first time I put real effort into integrating a forum into a WordPress website. It was incredibly difficult, but I eventually managed to build something I was happy with. Of course, it’s not nearly as powerful as an Enjin forum, but it got the job done.